Thank you so much for following this summer recipe series of mine. If you haven't seen my other summer treat recipes, there's a link at the bottom of this blogpost, I hope you can visit it too. 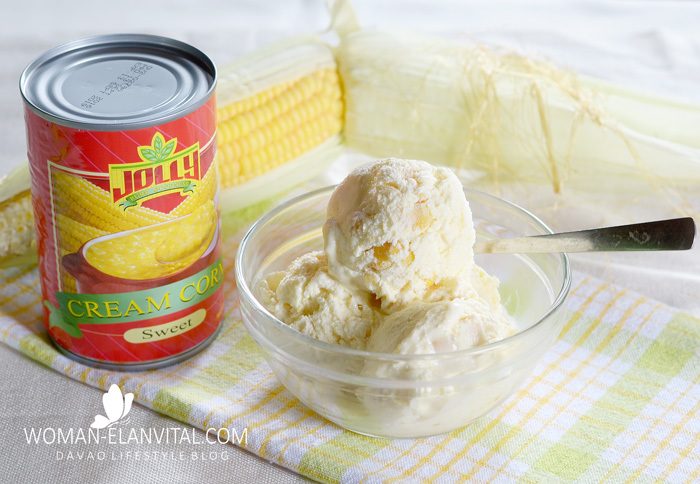 I'd like to say my special Thank You to Jolly for providing us with the ingredients. It was fun doing this. 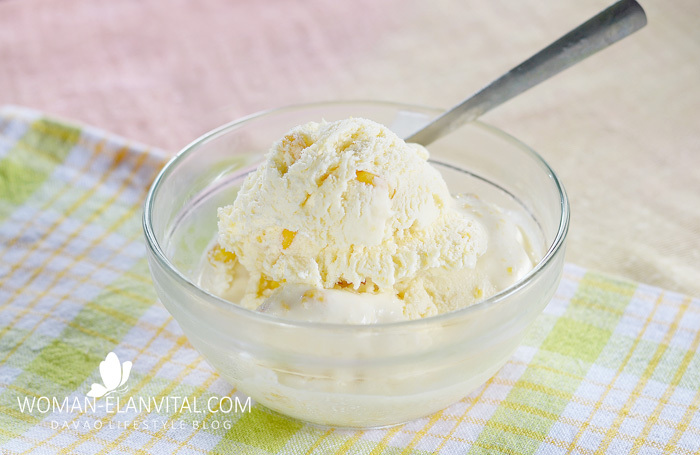 So, in this blogpost, I am going to share with you how to make ice cream without an ice cream maker. 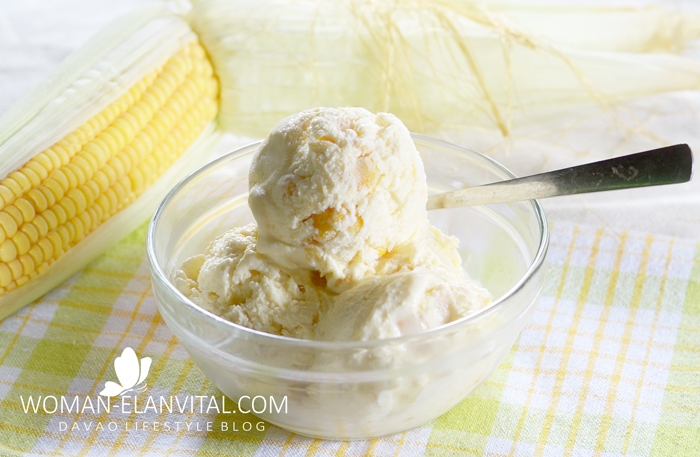 When we were asked to make summer recipes, I immediately thought of making ice cream. But I was hesitant in the beginning because I have no ice cream maker. But drop that, there is actually an easy way to make an ice cream without an ice cream maker. At first I thought this would be another ‘fail kitchen project’ of mine as this is the first time I will be making one. But surprisingly, the ingredients to making this iconic summer treat are as simple as 123 and the procedures just as easy. And guess what? I did it like a pro. Yey! No fail kitchen project this time. an ice cream out of my 5-year old hand mixer. 1. Chill the heavy cream overnight. 4. Pour in all the cream corn and beat again. 5. Add the pinch of salt, beat again, cover and freeze for one hour. 6. 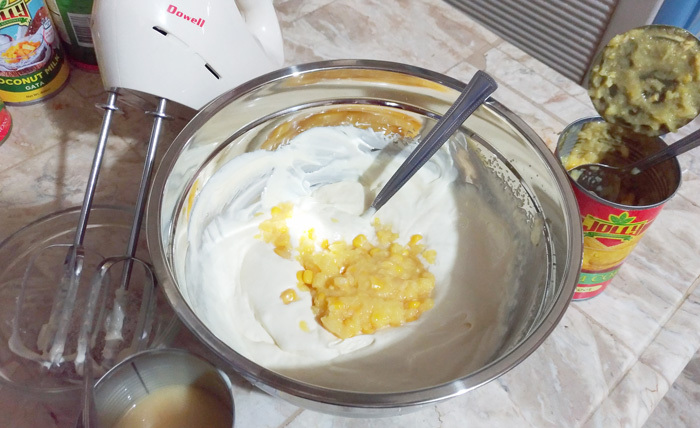 After an hour, remove the mixture from the freezer and beat again dissolving the frozen part at the side and bottom of the mixing bowl. 8. 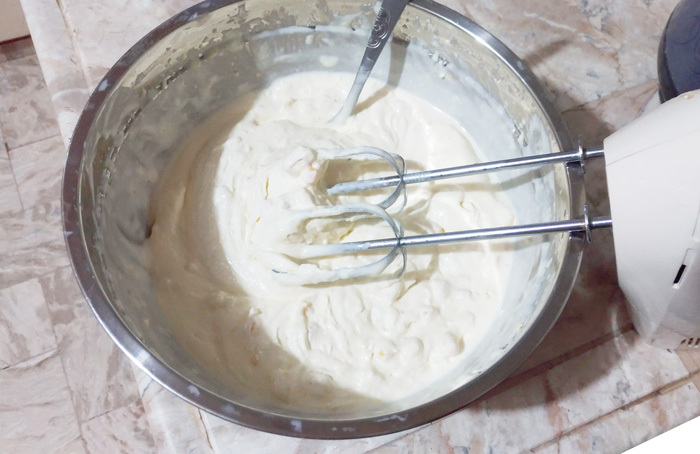 After an hour, remove the mixture from the freezer and beat again dissolving the frozen part at the side and bottom of the mixing bowl. 10. 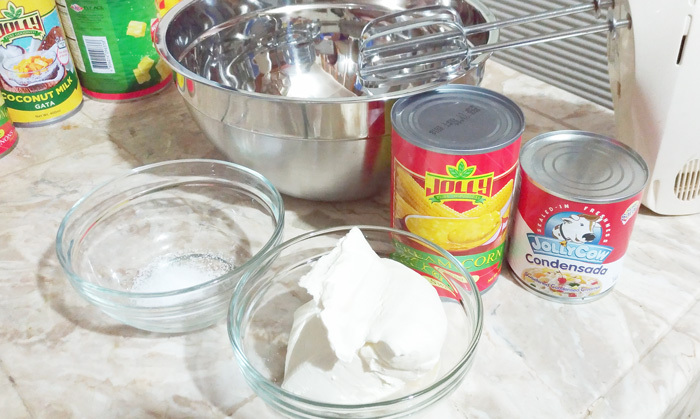 After an hour, remove the mixture from the freezer and beat again dissolving the frozen part at the side and bottom of the mixing bowl. 11. Cover and freeze again. 12. Congratulations, you just made a homemade ice cream without an ice cream maker. You read it right. I freeze-beat-freeze three times and doing it every hour during the whole time I was making this homemade ice cream. That's the way to go about it when you don't have an ice cream maker. Then I realized the secret actually to making this no fail ice cream project is PATIENCE and lots of PATIENCE. 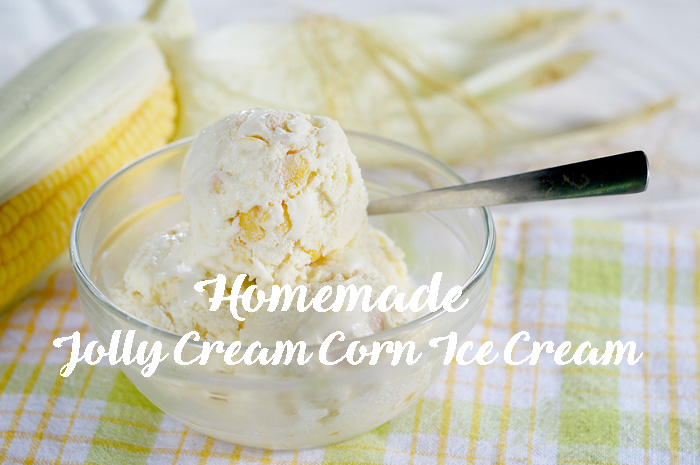 There you have it ladies, my Jolly Homemade Cream Corn Ice Cream + Recipe.